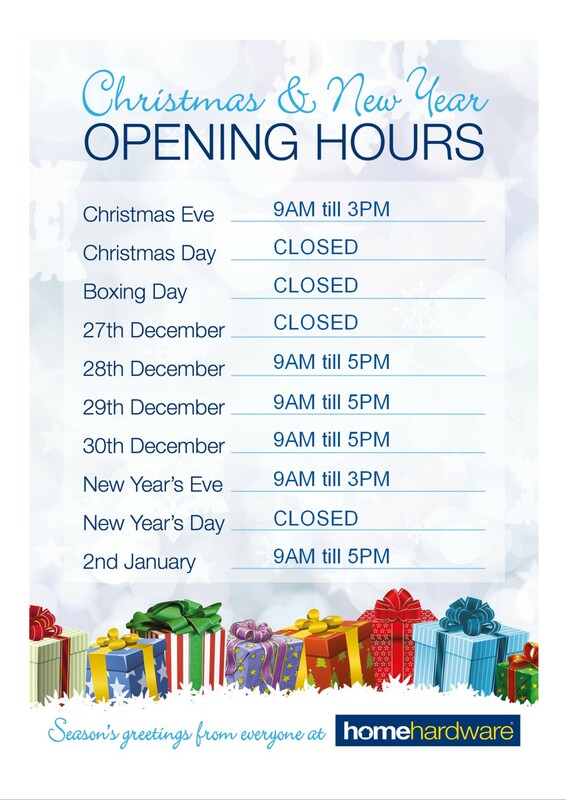 Please find below our Christmas opening hours this year and we would like to wish all our customers a Merry Christmas and a Happy New Year! Our New Christmas 2018 brochures are out now! 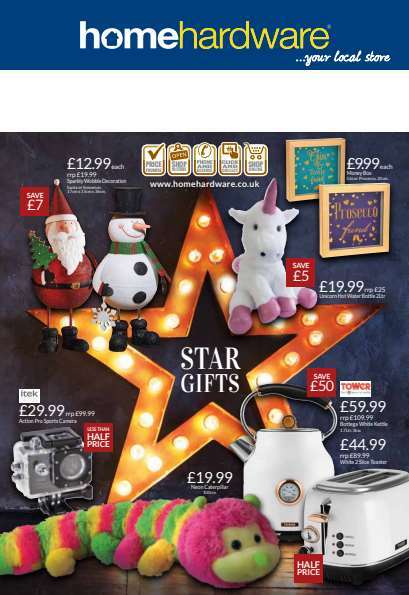 Find those Star Gifts, Dazzling Decorations and everything you need for a magical Christmas (may contain Unicorns) this year in our 2018 Christmas brochures. 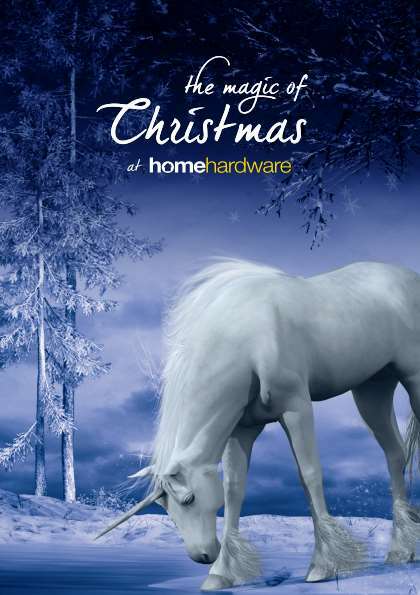 Click here to have a look at our Christmas brochureand here for our Magic of Christmas brochure. 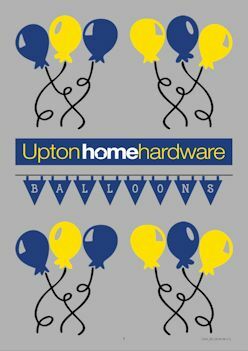 We are very excited to share with you that we are now stocking helium balloons! We are having to change! As no doubt everyone has noticed the retail sector has been experiencing some difficult times. We have all seen the likes of Toys R Us and Maplin disappear almost overnight. It is not just these large companies that have been caught out though, many small businesses are having to face similar challenges on a daily basis. We believe though small businesses are in a position to evolve and adapt to the changing landscape quicker without the bloat that has caused the large retail companies to fail. That doesn't mean that the small businesses don't have difficult decisions to make in order to survive. It is with this that Upton Home Hardware is having to adapt so it can survive within the local community and the changing retail landscape. David Sargent Snr took over the business from the Wyatts back in 2013 and while we have received continued support from local residents, unfortunately we have seen the volume of sales steadily decline over the last 5 years. David Snr is at a stage where it is time to retire, and as a result of the decline in retail, the ability to afford current staffing levels coupled with the need for a full time manager means that we are having to drastically restructure our business rather than face closing Upton Home Hardware. It is with regret that we have had to let some great staff go alongside David Snr's retirement. 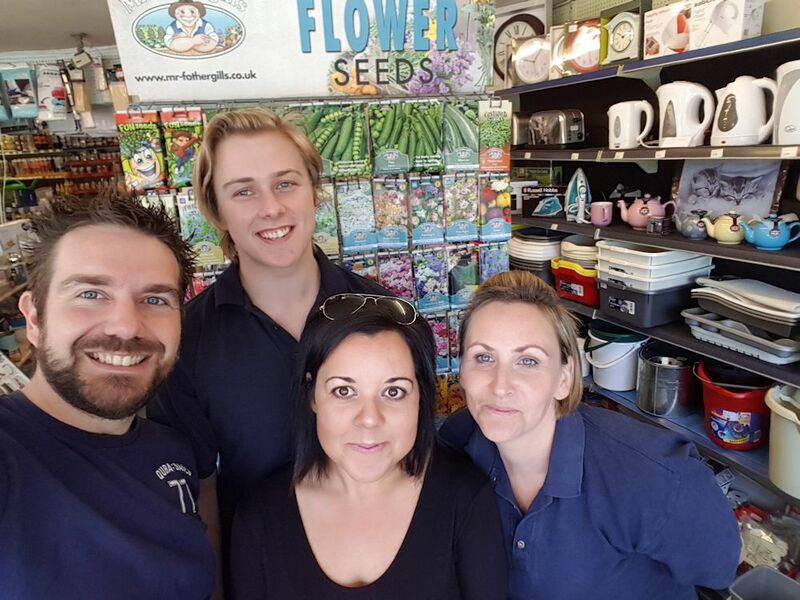 Therefore, in order to save costs and keep the store going, David Jnr and Sharron who have been working in the business since 2013 will step up and take over management and the day to day running of the store in its entirety. Sharron who many of you will already know, as she works most days in the store, has a strong background in retail having worked for many years as an account manager for Clarins at Beales in Poole. She is a strong advocate for excelling at customer service and will always be there to help and provide a friendly face. David Jnr, has previously worked largely in the background at Upton Home Hardware while holding down his 9-5 job at Nationwide Building Society. You may though have seen him working on Saturdays over the past 5 years. While David Jnr, trained as a lawyer and previously worked for 10 years at Coles Miller Solicitors, he also has a strong customer orientated focus having worked in retail and more recently in the Product Customer Management team for Nationwide Building Society's Specialist Lending arm, TMW. This with his prior customer facing legal experience means David Jnr. holds the importance of customer journey and satisfaction very strongly. Over the past 5 years, we have always aimed to provide a service you just cannot get from the likes of B&Q and Wilko. That said, we acknowledge that there may have been times in the past when we may have fallen short. 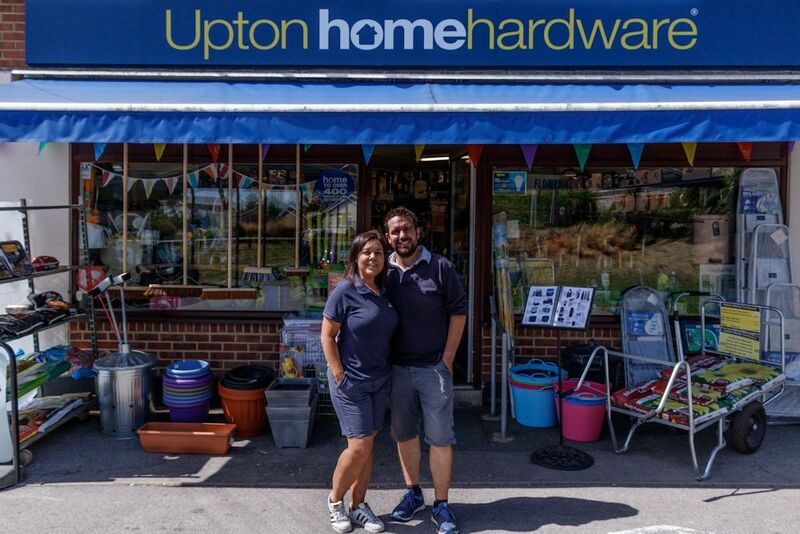 The change Upton Home Hardware is now going through to ensure the business can continue, should mean that David and Sharron's prior experience and drive to make the business work will lead to a business that excels at customer service and customer experience. While, some of these changes are sad it is hoped that Upton Home Hardware can continue into the future and David and Sharron would be grateful for your support as a local shop for the local community. Our New Summer Sale 2018 brochure is out now! Whether it's great days out, perfect picnics, BBQs with family and friends, or a spot of camping near or far. 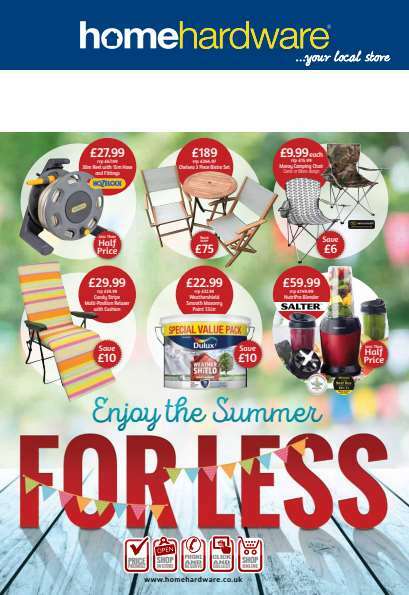 We're sure we have some great products to help make this lovely warm summer super. We've also got you covered for all the things you'll need for those jobs round the home and garden best done this time of year. We would like to wish Alex all the best as he leaves us today to get ready to embark on his exiting adventure at university in September. Our New Summer Leisure 2018 brochure is out now! Enjoy the summer for less. Whether it's great days out, perfect picnics, BBQs with family and friends, or a spot of camping near or far. 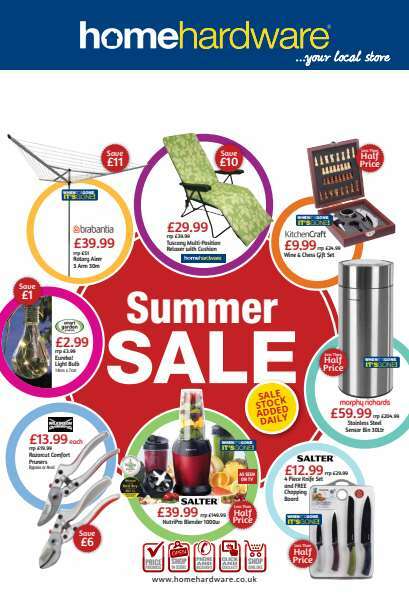 We're sure we have some great products to help make your summer super. 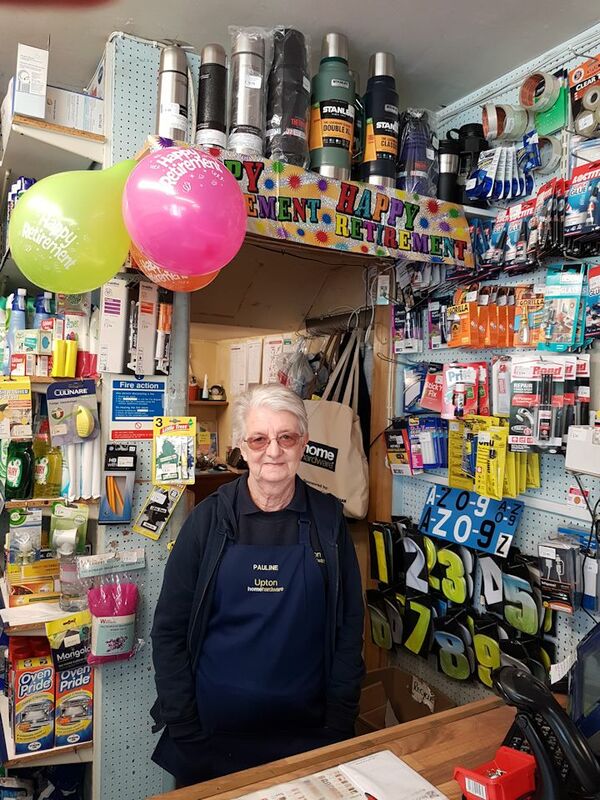 Pauline is retiring this week after 20 years of hard work and dedication. She'll be greatly missed and we wish her health and happy days in her retirement. We've got a new website which is now optimized for mobile devices. As mobile devices are one of the most popular ways of viewing websites now we thought it was important to update our website to make it easier to view for everyone. You'll find find all the usual things on our site and we will be working to bring more features soon.